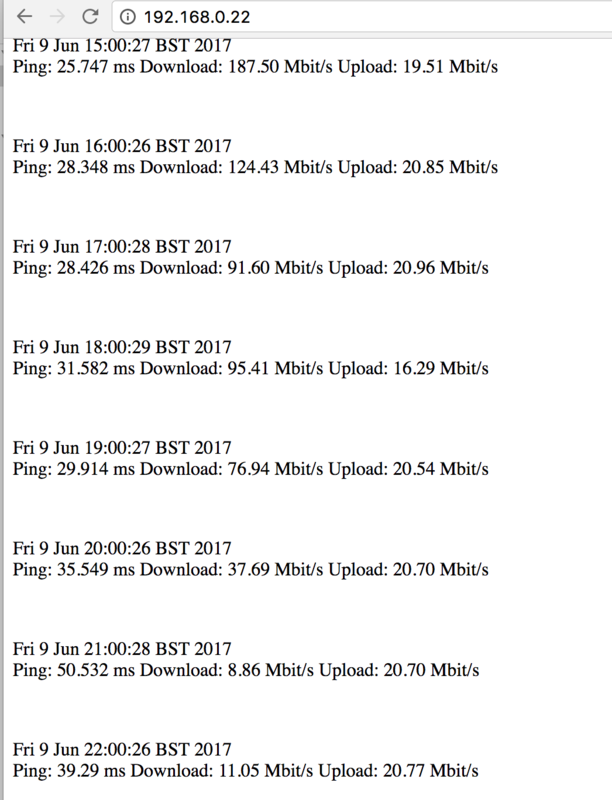 Like many who live in the UK I get my home broadband from Virgin Media, again like many VM tend to under deliver as promised in terms of speed. Now, speeds delivered are advertised as "up to 200Mb", so you'd expect something in the region of at least 70% of this most of the time? 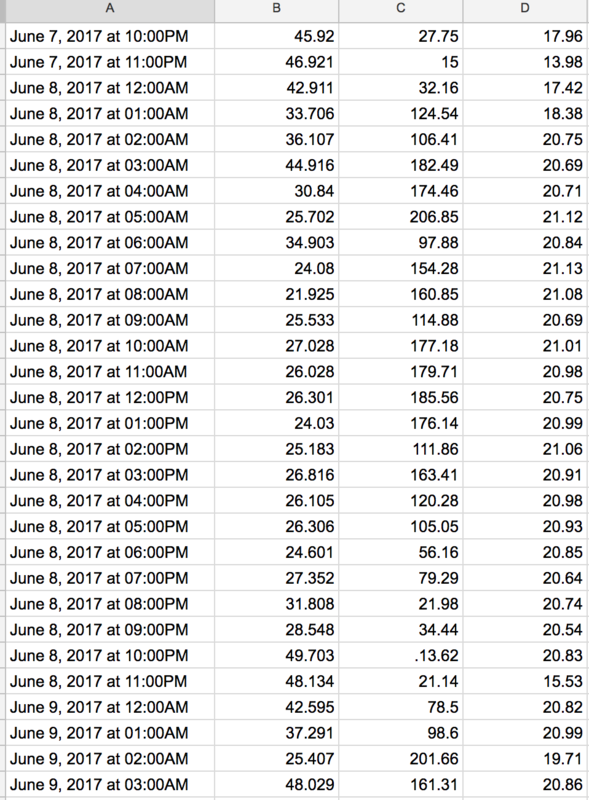 I decided that the constant dropping and speed reductions was getting annoying on my home connection and decided it was worth at least a quick project to spin up a monitor to see exactly how much it was dropping by and when. Giving me more evidence to pass to my ISP. For hardware, I originally had planned on a Raspberry Pi however after reading feedback from some folks I'd spoken to who'd tried in the past I decided something a little more powerful would be worth investing in. With a solid 2GB of ram and a duel core CPU plus gigabit LAN it is a perfect match for what I wanted to do. The only downside was that it comes pre-installed with Windows 10 home edition. Fear not! 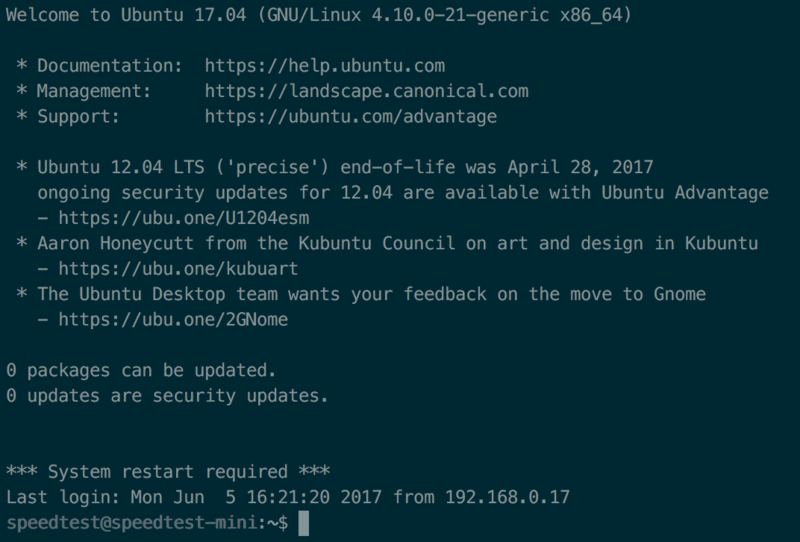 I quickly downloaded a copy of Ubuntu Server 17.04 and burned it to a usb using rufus. Then came the slightly challenging bit, working out how the hell to access the UEFI bios. I eventually decided the easiest way to do this was to boot into windows then select recovery options, navigated to boot from USB and the rest is history! Simply followed the installation for Ubuntu and before I knew it Ubuntu was installed and ready to go. Having gotten all the things setup, I opted to do a quick update and setup a user account for monitoring with. Once these were all done I setup unattended updates to install automatically then set to work on monitoring the download speed via LAN using the speedtest-cli tool. This basically creates a file in the web root and pipes the output of speedtest-cli to it. Now this is fine for a one-time use however I also configured a crontab to run every hour so that I could measure changes and things like that. This is great for local monitoring however I thought it'd be a better idea to output to something I could graph. Having been playing around a lot with IFTTT I reckoned the best thing to to was to log the output to a google spreadsheet to allow easier access. Luckily someone had already had the same idea and there's a module already written! Result! It can be accessed here, essentially it allows access to send results to a google spreadsheet via IFTTT. I have modified the original script slightly to change logging path for my instance and to add instructions for setup. It can be downloaded from my git. So all in, not a bad wee project. I have plans to look into further monitoring of the connection including things on my home network to see the full throughput of the connection.